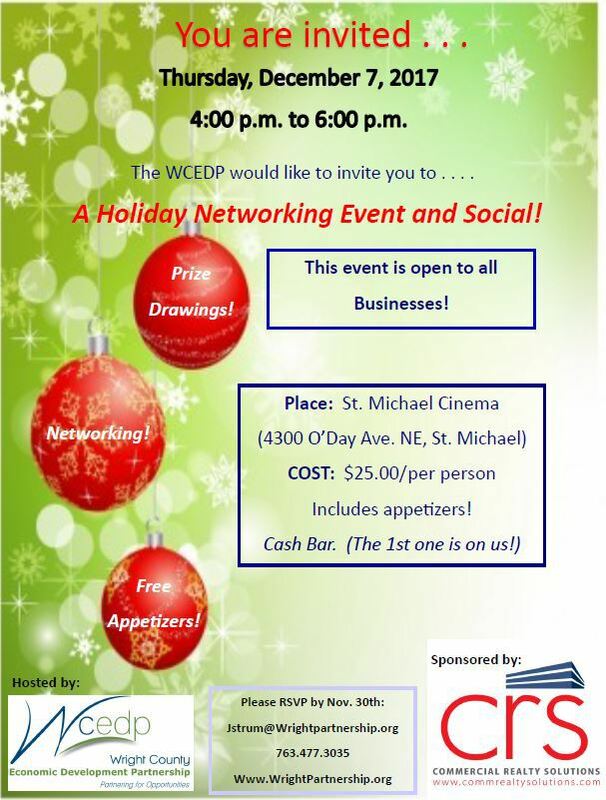 All businesses are invited to the WCEDP Holiday Networking Event and Social on December 7th! This is a great opportunity to meet other business professionals in a relaxed holiday atmosphere! See you there!